About a year ago I wrote two posts about the dark side of aromatase inhibitors, also known as, the drugs we love to hate. You can read Part 1 here and Part 2 here. Those two posts continue to be two of my most read posts and I frequently get emails about them, so I thought it might be time for an update. I won’t rehash what I covered in those posts, but as far as my personal experience goes, it’s been about one year since I stopped taking anastrozole (Arimidex®) and made the switch to exemestane (Aromasin®). I feel a sense of responsibility to share not only when things are going poorly, but also when things are going better. And I can honestly say that so far (knock on wood) things are going better for me after the AI switch up. The decision to switch AIs was a good one for me and I am sharing about it because doing so might be an option someone else out there could consider before throwing in the AI towel. It’s crucial for me to emphasize that obviously I am not a medical professional of any sort and my intent with those two posts (or any post) was never to suggest that someone should stop taking a recommended medication. I would never do that. Rather my main intent was to stress, as always, that no one should ever suffer in silence. No one’s side effects should be dismissed or brushed aside as just things one needs to live with. Too many women (and men) do still suffer in silence and hesitate to bring up side effects that are difficult to talk about and/or manage. That attitude of, well you’re alive aren’t you; maybe you should just be grateful, content and quiet is out there. I have actually had such a thing said to me (not in those exact words) by a physician no less. The question most commonly asked by healthcare professionals in regard to follow-up with AI meds might be, are your side effects tolerable? It’s the one I am asked at every oncology appointment anyway. This is such a loaded question. I think it’s also sort of an unfair one as it can place guilt on a person by making her wonder why she isn’t more capable of tolerating the ‘ inconveniences’. Have you ever been made to feel guilty about about not tolerating side effects? Not a good feeling is it? Instead, I would like to see physicians say something like, tell me about your side effects (if any) and which ones you find most difficult to manage. I want to help. Let’s see what we can figure out together to try to make things better. And as always, the mere validation of a patient’s feelings, pains, concerns, fears, side effects or whatever it might be, means more to patients than most physicians might imagine. Every individual is unique and every person must evaluate and decide how to answer that ‘is it tolerable’ question. For me, the side effects of Arimidex® became anything but tolerable. Since starting Aromasin®, my joint pain has lessened substantially, though it has not by any means disappeared. I am back to exercising regularly and can walk without debilitating discomfort, which is what I experienced while on Arimidex®. I still have chemo-induced neuropathy issues in my feet, but the discomfort in my feet and joints is not what it was before the swap. The primary side effects for me at this point are weight gain, hot flashes, hair loss, osteopenia (this one is most upsetting) and sleep issues; all highly annoying things, but tolerable. I guess. For now. An important suggestion I do have for anyone on AIs who is dealing with joint pain is to be sure to have your vitamin D blood level checked and monitored. For quite some time following chemo, mine was horribly low and may have been partly to blame for my general ‘not feeling well’ state and also may have contributed to intensifying joint pain. Low levels of vitamin D can cause joint or bone pain and a feeling of malaise. A helpful post on this topic is this one, “Our Friend, Vitamin D,” by friend and fellow blogger, The Accidental Amazon. Do check it out. Your calcium level needs monitoring as well if you’re taking Vitamin D supplements, because sometimes D supplements cause a higher than normal calcium level. This happened with me. My oncologist and I have already begun the conversation about the possibility of me staying on an AI for more than five years, but frankly, I can’t think that far ahead. I’m still trying to focus on making it through the first five. I still have one more year to go. I hate the little white pills some of us are forced struggle to take. I hate the side effects and how they inhibit my quality of life and how I feel when I look in the mirror these days as a direct result of taking them. AIs are definitely the drugs I love to hate. But I hate cancer and the idea of giving it perhaps a better opportunity to reappear even more. If you are struggling with side effects from AIs (or any drug) and contemplating discontinuing use, you are not alone. You know your body best and only you can determine what is and is not tolerable for you. Your decisions are exactly that, your decisions. But remember sometimes switching drugs can make at least some difference. It did for me. But AIs are still the little white pills I love to hate. Are you on an aromatase inhibitor and if so, which one? Have you ever switched meds and found another to be more tolerable? Do you plan to stay on an AI for more than five years? Sign up for news from Nancy’s Point here! Do you know how long one needs to go off one of these drugs for the side effects to go away.?? I don’t mean switching. Just stopping. Ilene, I imagine it’s different for everyone. I’d love to know the answer too. Great question. Thanks for putting it out there. I’m so glad the AI switch has been the right one for you, and you are doing well on it. I agree that medical personnel could be a bit more supportive when it comes to describing side effects. And the bone loss weighed heavy on me too. I only got through 1.5 years of an AI before I switched. Unfortunately, in my case, the pain was just as bad with the new drug. I had trouble walking without agony, and my quality of life was nil. My oncologist told me that these weren’t the right classification of medications for me, and he was understanding, but I still feel like a failure for quitting. I felt I had no choice, but if I ever get a recurrence, I think I’ll think that this would be why. Thank you for the update. One more year to go! Woo too! Beth, I’d say you gave it your best try. Quality of life matters and only you know what is and is not tolerable. And yes, some medical personnel could definitely be more supportive, but of course, there are many who are too. Thank you for sharing about your AI experience. Sorry it was so awful. I’m stage 4, so quitting in 5 years will not be an option. I could not handle arimedex at all and was switched to femara. Not good, but so far tolerable. Also on faslodex injections, which interfere with estrogen as well. Having a lot of joint problems in my legs right now, so I’m wondering if it is the femara or faslodex, but my doctors (oncologist and rheumatologist) don’t seem to think so. Elizabeth, My oncologist wants me to stay on longer than five years, but as I said, I’m not thinking that far out yet. You’re right, for you there is no quitting and I am mindful of that fact. What do your doctors attribute your joint problems to then? I hope they can help you find some relief. Thank you for sharing. Oh, Nancy, this is such a troublesome subject. I’m glad the switch has lessened your side effects, but I wish these drugs didn’t have side effects at all. I also think that sometimes, our recurrence risk is not presented in a clear and straight-forward manner. Sometimes, when relative percentages are used, it can be very misleading. After all, even with a recurrence risk of 10%, that means the chance of not having a recurrence in still 90%. I hope there will be more research done on developing ‘smarter’ drugs that can target only the breast or ovarian tissue estrogens and leave our joints and bones alone. Kathi, Yes, it’s a very troublesome subject. I really do hate these drugs. I feel as if I’m damned if I do and damned if I don’t and that is not a pleasant feeling. I hear what you’re saying about that 10%, but I want every percentage point I can get. Still, it’s a struggle. I am having my bone density test in January and I am not looking forward to the results. Thank you for reading and commenting. Love that Vitamin D post of yours. So important. As always, such a thoughtful and well researched post. I was on Arimidex for about 6 weeks after being on Tamoxifen for 2 years, and had terrible joint pain almost immediately after I started it. I talked to my oncologist, he said go off it for a week and come see me. I did, and when I told him I no longer had the joint pain after 1 week of not taking it, he said he’d put me back on Tamoxifen, although I’m now post menopausal. I see him in 2 weeks and will ask him about Aromasin, although I’m not so sure I’d be willing to try it, given how bad the Arimidex was. I’ve been talking w/him about staying on Tamoxifen for 10 years, I’m coming up on my 4th full year, heading into my 5th. Of course, I worry about the long term side effects. 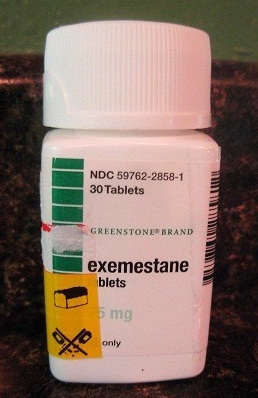 Isn’t it weird to say “Oh yes, I tolerate this well” when in reality you have a long list of side effects? Claudia, I discussed going on tamoxifen, too, with oncologist #4. She said it’s still a ‘good’ option if I can’t tolerate the AIs. I am trying to stick it out on the AIs for the five years, but not sure what I’ll do after that. Good luck with your upcoming discussion. I’ll be interested in what your oncologist advises. I actually never say I am tolerating this well because I’m not. I’m just tolerating. The side effects are there even on Aromasin, but… Thank you for reading and sharing. It helps to know we aren’t alone. I too am on the little white pill and can say joint pain is much more tolerable- still have hot flashes- though not nearly as bad – sleep is dicey, but the new wrinkle- heart palpitations. Yep- no kidding! Called Dr-they never heard of this side effect. I stayed off meds for 2 weeks and as you guessed, my racing heart stopped racing. I don’t have blood pressure problems. Went back on meds again for a month- and again have noticed the heart issue. I figure it is the anxiety symptom that I believe is a side effect. I will bring up this mess again, but have 2 years to go. Still hanging tough! Glad you gave an update. Ann, Sleep is dicey for me too. Sorry to hear about the heart palpitation issue. Always something isn’t it? Keep talking to your doctor about ‘this mess’. We must not keep quiet about side effects. Hopefully our speaking out will help drive better options for future patients. Thank you for reading and sharing. Keep hanging tough. Nancy – thanks for your always thoughtful blogs. I sure agree with the love/hate although I don’t love this drug in spite of what it is supposedly doing for me. I started with Arimidex 2 years ago after completing surgery, chemo & rads for stage1 but high recurrence risk (oncotype). After 2 months of chronic insomnia I switched to Femara, and seemed okay with that but developed recurring dizziness that escalated to all day vertigo. My doctor took me off Femara (after sending me to an ENT to rule out sinus/inner ear) and voila, dizziness and other things I hadn’t attributed to Femara went away after a month. Had to go back on it because of risk but switched to taking it at night to control the dizzies. Now I’ve been off it the last month because I developed recurring strong joint pain so he wants me to try Aromasin. I’m afraid to take that since it seems so much stronger – the fact that it destroys the enzymes as opposed to merely temporarily inhibiting them gives me pause. I worry about doing damage to that mechanism that produces what little estrogen I may need in the future. I find I get more helpful information from the body building blogs than I do from my MO, to be honest. Those guys really do their homework and ironically, those big strong men all caution each other not to take the aromatase inhibitors for more than a few months because of the damage it does. Imagine that. I’m encouraged by your mostly positive experience with Aromasin so maybe I will try it. Fingers crossed. I do not plan to be on these one day past the 5 year mark. Kathy, I have the same worry about shutting off the enzyme mechanism permanently. Sometimes I wish I had tried tamoxifen first, but my oncologist seems to prefer the AIs and tamoxifen is a back-up for me I guess. Good luck with your decision. I know how hard it is. Please keep me posted. Thank you for reading and sharing. And I hear you on that five year mark thing. An update since my December, 2014 post; I switched to Anastrazole, and while dizziness and nausea disappeared, they were replaced by even stronger joint pain that spread to my knees, as well as much worse insomnia. I began waking several times each night, followed by hot flashes. I began experiencing memory problems, my guess is due to the chronic lack of sleep. In February of this year, I was diagnosed with Episcleritis in the right eye; I was referred to a Rheumatologist to rule out auto immune syndrome which was ruled out but that doctor diagnosed me with arthritis in hands and feet and said she looked up Anastrazole and found a growing body of research linking it to eye diseases particularly for near sighted folks. I had a recurrence of Episcleritis in August, this timein the left eye, and returned to the Opthalmologist who said this will likely be permanent due to a chronic inflammatory ocular environment caused by estrogen deprivation, which is also weakening the ocular structures and may lead to vision loss or other eye problems normally seen in the elderly (I’m 65 and was in otherwise excellent health when diagnosed with bc, having been a runner, including marathons, for 30+ years). This was very discouraging to hear and after a month break went back to generic Femara (Letrozole). The insomnia has improved, as well as the join pain, and since I take it at night, not much daytime dizziness. I have one year to go – hope I can make it. BTW, I learned from a bone scan in March that my osteoporosis, diagnosed at the end of my treatment year before even going on an AI, had been reversed. I had taken a single dose of Boniva but stopped when it caused months of very strong pain throughout my skeletal system. I found an article describing research by two Canadian doctors who were able to simulate the same results as bisphosphonates using a protocol of over the counter supplements including Strontium Citrate, an ingredient in fish oil, Vitamin K and D3. I started taking it in the Summer of 2013, didn’t have a bone scan until March of this year, and was very happy that the osteoporosis was gone. I’ve read that Strontium (there are different variants out there including Ranelate sold in Europe) can somewhat alter a BMD reading but for me the gold standard was that I had fallen twice in February (probably due to extreme fatigue from chronic sleep loss) and no broken bones after either fall. This was a little glimmer of light after much gloom the last 4 years. I will take what I can get. I took Tamoxifen for almost 2 years with no real issues. One year after my oophorectomy, I switched to Femara. I have had awful joint pain and swelling. I am also starting with restless leg syndrome. My onco said it could take 3 months for the side effects to appear and she was right on the money (unfortunately). My chemo was cut short because of toxicity issues, so I NEED to stick this out. Sheryl, I guess you could always discuss going back to tamoxifen. See how things go; hopefully the side effects will not worsen for you. Good luck and thank you for adding to this discussion. I’m not on an AI but I wanted to chirp in to say I have all the same complaints on Tamoxifen. Walking around like an old lady is exactly how I felt! Surprisingly, it has gotten better in time. I’ve been taking them for 2 years and I’m wondering if taking Omegas has helped with this. I’m not nearly as stiff and sore as I used to be. After my five years on Tamoxifen will I then be put on an Aromatose Inhibiter for the next five years? I’m not looking forward to that, but yeah, I’ll go along with it if it helps prevent cancer from coming back! Lauren, Thanks for ‘chirping’ in here. I know tamoxifen is rough for a lot of women too and then again, pretty tolerable for some. I’m glad your SEs have improved. I take the Omegas, too, and I do think it helps some. Thanks again for jumping in and good luck with things ongoing. This is a very timely post for me, Nancy. February will make 3 years of my being on Tamoxifen and thanks to nearly 2 years of Lupron Depot induced menopause, my new Chicago oncologist is talking about AIs in March. I’m very concerned because after a baseline bone density test last month, we found I have osteoporosis already, most likely familial (both parents have it). The bone density results are truly scary looking–can we say that my bones look like Rice Krispies? I had a Reclast infusion on Monday so we are being proactive, but I’m very curious to see what my oncologist says in March–and what kind of reaction my body has to AIs if the oncologist pushes them. I will continue to do my research before that March appointment–and this 3-part piece is a great way to start. Thank you! JoAnn, I’m sorry to hear about your bone density issues. I am dealing with some myself. I understand your concern; it is scary isn’t it? It will be interesting to see what your oncologist recommends in March. Good luck with everything and thank you for the kind words about my three articles on AIs, definitely the drugs we love to hate. Thank you for sharing. Hi Nancy, thank you for your blogs. They are always interesting & insightful. I’ve been on Tamoxifen on (& off) for the past 3 years & have had most of the typical side effects; though in many ways seem as bad if not worse than AI’s. My Onc’s (on my 2nd one now) say I need to stay on as there is really nothing else that will prevent recurrence for my Stage 2b ILC. Now my doc wants me to start Arimadex as I’m officially in menopause. He had me get a Dexa scan & lo & behold my spine has osteoporosis. It was perfectly fine 2 years ago. So he says he Prolia injections every six months & take the nasty pill every day. I am scared to death. If the bone & joint pain are worse than I have no I won’t be able to function & if there is more bone loss, then what? He says you need to be very careful not to fall…I’m 57 but feel so much older. I’ve always been fit, strong & very active. Getting BC, going thru treatment & taking hormone therapy has sucked so much life out of me. My eyes have lost their light…I want it back. I’m going to pray about whether I should give Arimadex a try. Thanks for letting me share. Deb, It is scary and you’re right about feeling that so much life has been sucked out. I totally relate. Each of us must weigh all the pros and cons of starting and then staying on these meds. Good luck with your decision and feel free to share any time. Nancy, I really appreciate this post. I have completed 5 years of Tamoxifen and have been discussion with my new oncologist (I’ve only had 3!) about what to do next. I had a blood clot on Tamoxifen so he’s discouraging me from continuing it, and I really don’t want to start AIs (also I’m not certain I’m in menopause), so for right now, I’m off everything. I am going to live with the 10% chance of recurrence. It doesn’t sound too bad to me. But I agree that there is an unspoken *something* out there that we should be SO grateful that we are survivors and not complain about these side effects which can be so severe…and what about quality of life? Isn’t that important, too? I’m working on a post of my own about this… But thanks again, as always, for your insightful and honest views. Adena, QOL does matter. A lot. I don’t blame you for being hesitant to start an AI, but you could consider trying one and seeing how things go. Not everyone has issues. I certainly don’t intend to discourage anyone from going on these meds, or at least giving them a try if one is recommended. Thanks for reading and good luck with everything. Thank you for sharing your experience with an A.I. I’ve been taking one A.I. prescription or another for almost five years now. Never was a candidate for Tamoxifen (which is a whole long story). Anyway, agree that talking to your doctor about your side effects is so important. I’ve taken them all but have been on the Aromasin for the longest now with the least side effects – however, the joint pain and weight gain remain consistent. Now that I’m looking at my five year mark, oncologist is pushing for a total of 10. Not sure if the pain in my feet every morning can make that long. Wendy, I hear you; boy do I. I don’t know what I’m going to do either past the five year mark. I’ll decide later I guess. I have my next oncology appointment in January and I imagine this discussion will come up. Thank you for reading and sharing. Sorry to hear about your side effects. I was diagnosed in February 2013 and after completing treatment my oncologist told me that the newest studies showed better odds if aromatase inhibitors are taken for 10 years. I was initially put on Arimidex, but started suffering from constant migraines, so was switched to Aromisin. I have every single side-effect that is listed and it has really affected my quality of life. The fact that I still have a little over 8 years to go seems like an eternity. I have thought about going off it, but I’m too afraid the cancer will come back. I have told my oncologist about the side effects every visit, but her response is that studies have shown that those who have the most side effects have the lowest rate of recurrence, ie. the drug is doing it’s job. She is truly a caring doctor, but doesn’t have an answer for me. I’m not sure there are any answers. All I know is that if my cancer comes back after taking this awful Aromisin, I’m going to really be angry! Thank you for sharing your experience and for giving us a place to share! Pam, I’ve had a similar experience to yours regarding the Arimidex and Aromasin. I hate the AIs, or rather the side effects. Like you, I stay on because my oncologist seems pretty adamant. I can’t think about the additional years quite yet. But I’ll have to soon. I don’t believe that line about the more side effects a person has, the less chance of recurrence. And I’m with you on that anger thing. Thank you for reading and sharing. At least we aren’t alone and that does help some. I found you through a search. I am on day 2 of Aromasin after taking a break from Arimidex. My tongue and face started to swell on Arimidex so I had to stop. After only 2 days I am having the worst neck and shoulder pain. Yesterday, I was just sitting there and my teenaged son (who is oblivious to most things) came up to me and asked what’s wrong, he could tell by my face I was in pain. If this follows the same course as the Arimidex, I know what I am in for. I don’t seem to tolerate this hormone stuff very well. Thanks for the information. 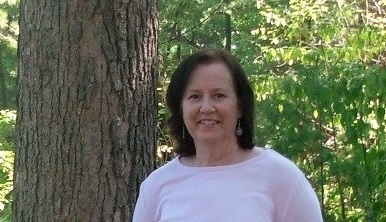 I lasted 9 months on Tamoxifen, 5 months on Arimidex and after 2 days on Aromasin, I am ready to give up! I have no idea what I am going to do. Beth, I’m sorry to hear about your neck and shoulder pain. Tolerating these drugs is harder for some of us than for others. Maybe give it a bit more time and be sure to document all your reactions so you can take that with you to your appointments. Talk with your doctor about how things are going and don’t hold back. Never suffer in silence. Good luck and thanks for finding me. I hope things improve. I’m happy to have found your blog! Thanks for writing and sharing! I’m wondering if anyone has heard of full-body itching with Arimidex? I’ve been on it for about 8 months and suddenly have had 2 weeks of itching so badly that I can’t sleep. It’s my head, my arms, my scars, palms of my hands, my feet, in other words, everywhere! I called my oncologist and she said it was nothing to do with side effects from the chemo (ACT finished August 2014) or the Arimidex. But I’ve seen references to itching on a couple of British cancer websites and am just trying to read some medical literature before I go and see her tomorrow. I also discovered that my DHEA-sulfate, one of the male hormones, is elevated. I wondered if anyone had heard of that associated with AI’s? I have an integrative doc who says that is stress related. And by the way, your tip on vitamin D is a good one. I’m on a regime of supplements (inspired by the FiveToThrive plan and book) to help me recover from the cancer, surgery, chemo and radiation! Thanks again for sharing. It’s so helpful to find others who have been through similar issues! I had the full body itching a year ago and nobody could find a reason. I would say it was a reaction of my soul as it came after I was told I was to have biopsy. It was horrible for about 6 weeks and then it reacted to the Zyrtec I took. I have been taking Zyrtec less and less over the year, it is still not completely gone. It was called Urticaria Rash. Nancy: I so appreciate all your entire website and the blog. Hearing from others with breast cancer and their experiences has been so helpful. I was on Arimidex for 14 months until I felt I could not longer take it due to the severe joint pain and fatigue. I could no longer do most of the things I loved doing, due to the pain. I went off the AI for about 1 month and felt like a new person. I then started on the Aromasin and have now been on it for 17 months. 15 of those months have been miserable and I finally decided on Jan 1 I was going to stop the medication for a month. My next oncology appointment is early Feb at which time I will discuss where to go next with the AIs. I have always felt I could do almost anything and always felt I had a very high pain tolerance, but these little white pills have about gotten the best of me. It is such a tough decision: quality of life vs quantity of life…will the cancer come back if I stop the AIs? Will I regret stopping them? Will I have to feel guilty the rest of my life if I do stop them and the cancer comes back? Is it selfish of me to put my comfort and well being above that of my family’s? So many unanswerable questions. Several people have mentioned in the blog that their physicians are recommending they take the AIs for longer than 5 years and that research is showing the longer you take them the better your chances of remaining cancer free. I would encourage anyone whose physician tells them that to ask for a copy of the article he/she is quoting. My oncologist says there is no research yet that shows this is true and I have done extensive research myself looking for such articles. If anyone has articles their physicians have shared with them, I would appreciate knowing about them. Thank you for providing such an informative website and for all you do to advocate for those of us with breast cancer. Jan, I think there have been clinical trials about this, but off the top of my head, I don’t know about specific articles offering concrete evidence. I might have to ask my oncologist about this at my next appointment as he is quite convinced I should continue on an AI beyond five years. I need to write an update on this topic soon about my decision and hopefully open up more dialogue about this exact dilemma. Thanks for reading and sharing and for your kind words about my site. This page is very informative. I have been reading the posts. Since 2011 have used Arimidex. The doctor originally said 5 years. So between then and now things have changed and the research suggests 7/10/life. Sounds like a prison sentence. I have joint and hip pains symmetrically and my hair looks bad. I’m grateful for life and health but was looking forward to stopping these pills. I don’t want to use any of them. For 5 years I have used them and put up with the loss of mobility. I go to a great doctor who has offered to change the pills several times but I told him No. What the doctor told me last visit was “There is no hard evidence out there to prove that taking Arimidex longer than 5 years is beceficial” and also ” You should take it unless you have a reason not to” and the last thing he said was “it’s a calculated risk”. None of these oncologists want to be sued. They just go by whatever the drug company tells them. He said we would talk next visit. I don’t look forward to it. I want to stop. He’s the best doctor, very much like a psychologist but very thorough and a good listener. However, I’m tired of my body hurting. I don’t want to be sick. So I’ll pray to the Almighty for a sign from the universe to tell me what to do. Maybe it won’t be the answer I want but I know it will be the right one. Naamiah, I know what you mean, sometimes it feels like a life sentence post cancer period. I think oncologists are in a tough position as their primary focus is, of course, on the cancer itself and many of them seem to have difficulty helping us to manage the side effects of these drugs. At the very least, everyone deserves validation. Then each person must make well-informed decisions that she feels are best for her. The choices aren’t always easy, as you know. Good luck with yours. So, thanks again Nancy for the blog and maybe this info will help people avoid the pain and itching associated with AI’s. The doctor is called Dr. Jerome Check, in case anyone needs citations to persuade their oncologist or primary to prescribe adderall (in these very small doses, in comparison to what kids take for ADHD, by the way!). I survived a lumpectomy,chemo and radiation plus a thyroid removal during everything.I then had a meniscus tear.With that said, Iam going crazy on my second try at the 5 year drug! I am ready to call it quits and go on living the life I have.anyone agree? Beth, You have to make the decision that works for you. And btw, I had a meniscus tear, too, during all this. My best to you. I’m just now (March 2019) reading this and realizing the injury I sustained during exercise in June 2017 while still on Letrozole, and has never really healed, is probably a meniscus tear. I asked repeatedly for an MRI but my HMO refused, attributing my knee pain to osteoarthritis and assigning me to physical therapy, which only increased my pain, particularly at night when trying to sleep. I’ve considered paying for an MRI just to get the correct diagnosis. Regardless, I’m fairly certain being in the 5th year (at the time) of Aromatase Inhibitors contributed to the weakening of ligaments and the onset of my injury. Unfortunately, there is little evidence to support that cause/effect and my evidence-based HMO is giving me the face palm. P.S. I finished my five years in 2017, did not extend therapy, but it has taken until now (17 months later) that I’m starting to feel somewhat like I did before all this started. I can’t stop the clock and I may never get back to the level of physical fitness I had but I can say I feel better now than I did while on AI’s. I hope future generations benefit from our experiences and more research is done on AI’s short and long term effects. Kathy, Your comments remind me of a similar injury I had a few years back. In hindsight, I realize I injured my meniscus while participating in a Livestrong exercise class. I was also on an AI at the time. My pain was pretty bad (and I have a high pain tolerance), especially bothersome at night. I did have an MRI and surgery to fix things. “Best surgery” I’ve had throughout all this. I don’t have any real evidence to support me blaming the AI either, but I’m pretty convinced all this is related as my bone health has been impacted quite a bit. Like you, I hope future generations benefit from our experiences and more research. Lots more. Thank you for sharing. My best to you. Glad you’re feeling better now after discontinuing your AI. I’m still taking mine. May I ask, how much weight gain? I am on hold from Arimidex and they are escripting Aromasin to my pharmacy to start in a week. But at the same time I have to lose some significant weight to get my blood pressure down and can’t afford another massive gain like I had when I quit smoking (40 lbs in a month). I’m already dealing with a bad hip that seems to be due to the Arimidex and I am just about ready to call it all quits. I am a single woman who has to be functional and hold down a job and can’t be dealing with all this. Barbara, I have gained twenty pounds since diagnosis. I am working hard to lose weight, but it’s a struggle. I didn’t gain more after switching to Aromasin, if that’s what you mean. I do feel better on it than on Arimidex. My body could not tolerate Arimidex for some reason. I’ve dropped about seven of those twenty pounds. It’s a slow process. I’m glad I found this. I’ve been on Letrozole for about 3 years. I was just at the doctor and told him I’m glad I only had 2 years to go and he said no it’s recommended for 10 years now! I don’t want to think about that now, and I can’t say for certain, but I don’t think I’ll be listening to that advice. The side effects aren’t horrible, tolerable? I guess. I’m 55 and the normal things I used to do just happen a lot slower now and I hate it. Anyways, I feel good talking to other people who are on it like me, because I feel like some people don’t understand and sometimes I feel I shouldn’t complain, because it is saving my life, or is it? Did Cancer Make You More Grateful?